Welcome to Cold Spring Presbyterian Church—Energizing Spirits! Transforming Lives! Any number of reasons may have brought you to our website today, and we hope you feel welcomed and find resources you need to live life more abundantly. Whether younger, or older; long-time resident, seasonal guest, or visitor to Cape May; prefer being more dressed-up or a more casual look at worship; and no matter your church experience, or no church experience at all; Cold Spring Church cares about you, and what you care about! We have recently heard many encouraging comments after a visit to Cold Spring Church like, “I feel energized”; “Glad we came today”; “I love music and the hope-filled message”; “I find myself excited about the future”; “I’m encouraged to move forward in a positive direction”; and, “It feels like new possibilities.” I’d like to know what you think, too. 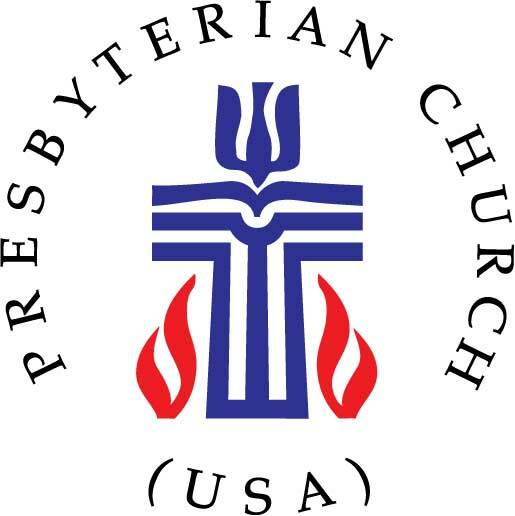 What We Believe As a congregation of the Presbyterian Church (U.S.A.), we share a common Reformed expression of faith in Jesus’s Christ as God’s son, our savior. The Word of God “that became flesh and blood and moved into the neighborhood” (John 1:14). God’s story of love, forgiveness, redemption, and hope are contained in the Scriptures, creeds, and in our governance We seek to bless our communities, serve others, and demonstrate the love, justice, and reconciliation of God through our actions in the world (John 3:16-17). Worship in Joy! We worship in our beautiful, historic, red brick church building. Most Christian faith communities worship in similar ways, and we think you’ll find aspects of our worship familiar. Whether you enjoy traditional attire, or like to wear more informal clothing, come as you are! We believe worship is at its best when it a safe and engaging place for responses, silent reflection, and an interactive, equipping message from God’s Word. To help you become more comfortable with our community, please browse our website. When you’re on campus, our pastor and welcome team of greeters are ready to speak with you! We provide a bulletin in larger print as a guide during worship so everyone can participate easily. Bulletin numbers will indicate the use our BLUE or RED hymnals. We enjoy a range of music with special selections provided on an insert. The Apostles Creed and Lord’s Prayer may be familiar to you, but words are always printed. Contact information is provided. Assisted listening devised are provided for those who require them. When You Can’t Be With Us, Or To Listen Again Our service is recorded and is available to listen or download soon after each worship service. Listening online is a great way to stay connected when your schedule prevents you from participating in person. Communion The Lord’s Supper is open to all whether a member of a church or new to faith. All are invited to nurture their relationship with Jesus Christ in their lives by participating. See the pastor for more information. Baptism Baptism is the faith community’s sign of God’s action to cleanse us from sin and welcome us into God’s family. Whether it is a child or an adult, please speak to the pastor about your baptism needs or questions. Whole-Life Stewardship God has blessed each of us to participate in different ways. If you would like to get involved, consider volunteering to serve others on one of our teams from youth, to music, to education, mission, and worship. If you want to financially support our ministry in the community, you may select the Giving tab on our website. During worship, we want you to know we provide two offering opportunities. The first offering is our Deacon’s collection for local mission. The second is our general collection. Out of God’s abundance flows the spirit of generosity, each according to their gifts. Prayer Should a need arise in your life, or in the life of someone you know, we want to pray with and for you. During worship, complete a GREEN prayer request card located in the pew rack and give it to an usher or place in the Narthex basket. Requests can also be shared during worship. Phone in your prayer requests by calling the church office. Welcome Cards We hope you feel “welcomed” by browsing our website, and especially during your visit to our campus. We want to ensure that you are energized as you depart to serve! In the pew rack you will find a RED Welcome card. You may place it in the Narthex basket. Online, you can leave a message or join our email list for our weekly Connections newsletter. Mission Possible! You Choose How To Connect! There are lots of ways to become more connected at Cold Spring Church. Learn more about our community of faith in our Explorer’s Group. Inquire about membership. Want to get more involved in mission and outreach projects? We have a place for you! Consider Music and Singing groups, Mary Circle, Esther Circle, Presbyterian Women, Men’s Ministry, Christian Living, Affirmation of Faith, Youth, Busy Bees, Arts & Crafts, Coffee & Conversation, and Connect With Tech, and more. Connect to the possibilities! Bless the world! Our red brick church building is our worship center and has held continuous services from 1714 to the present. Our congregation has been influenced, in part, by its history, community, and tradition. Registered as a National Historic Landmark Site, legend tells us that five presidents were visitors: Harrison, Lincoln, Pierce, Taft, and Woodrow Wilson. Most churches in the early 18th Century were the community’s meeting place and our first building was a log meetinghouse. It was upgraded to a frame and shingle church in 1764. The current structure, affectionately known as “Old Brick” for its red brick composition, is of federal design and was erected in 1823 by Thomas Hughes, the architect of well the known Congress Hall in Cape May, New Jersey, located only three miles down the road. Our worship invites the community at large to experience welcoming, mostly traditional, and definitely engaging celebrations led by our Transformation Pastor (interim), the Rev. Dr. Kevin Yoho. Besides Sunday worship at 10:30 AM, the Worship Center also hosts weddings, funerals, and concerts. > From the early 1700’s, Cold Spring Church was always on the main road, in the middle of community life. 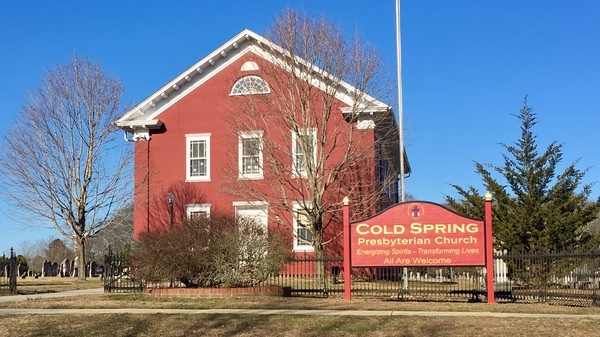 > Cold Spring Presbyterian Church is a faith community connected to the Presbyterian Church (U.S.A.), and is a member and mission partner of West Jersey Presbytery, our regional council. Our campus of more than 150 acres includes parking areas, large lawns, wetlands, and is home to several bald eagles. Inside the main sanctuary, the pews have individual doors, and there is seating for 200. In the 19th century, a popular means of raising funds during construction was to have church members purchase their own pews. Each pew was then numbered and equipped with its own door and latch, which still exist today. The doors are no longer used, as our understanding has shifted from individual to communal worship. The U-shaped balcony overlooks the sanctuary and houses an organ, a choir loft and seating for approximately 100 people. In 1979, Price Hall was erected nearby as a fellowship and social hall, where many community groups meet including the Cape May Garden Club, United States Coast Guard Auxiliary, Cape May Women’s Club, among others. The manse (housing for the pastor) is also located on the church campus and was completed in 1958. The church is surrounded by one of the oldest cemeteries in the United States. The oldest headstone is dated 1742, and is the resting place of Sarah Eldridge Spicer. More Mayflower descendants are buried here than anywhere outside of Massachusetts. Our Mausoleum and recently dedicated Veteran’s Memorial Park featuring our nation’s flag and each of the United States service flags, is a frequented destination throughout the year. During the warmer months, Cold Spring Church hosts guided walking tours of our historic campus with docents in period costume recounting the stories in the church’s worship center and cemetery grounds. We are also located adjacent to Historic Cold Spring Village, one of our community partners. For more information, please contact the office at 609-884-4065. Cold Spring Church is an active partner with our neighbors including community, ecumenical, and service agencies all across Greater Cape May and Cape May County. 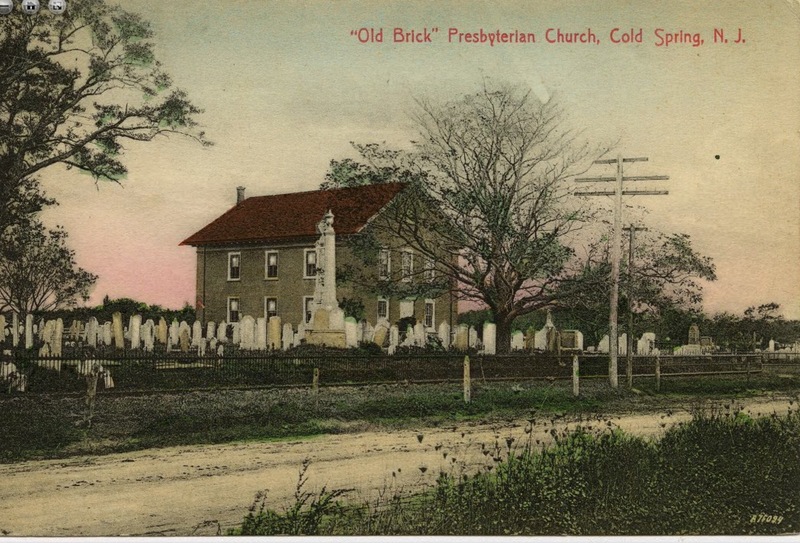 Cold Spring Presbyterian Church, located at the corner of Seashore Road and Academy Road in Cold Spring, Lower Township, New Jersey, is a congregation of the Presbyterian Church (U.S.A.) and West Jersey Presbytery, our regional council.